WASHINGTON–President Donald Trump’s administration will not allow drilling for oil and gas off the coast of Florida after urging from the state’s governor, Interior Secretary Ryan Zinke said on Tuesday. The Trump administration last week proposed opening nearly all U.S. offshore waters to oil and gas drilling, a move aimed at boosting domestic energy production and which sparked protests from coastal states, environmentalists and the tourism industry. The administration’s decision on Tuesday removes from consideration a portion of the eastern Gulf of Mexico, an area that oil drillers have said they are interested in exploring – but not all of it. Scott last week announced his opposition to the drilling plan and said he had asked to meet with Zinke. Zinke’s decision to exempt Florida from offshore drilling leaves the door open for other governors opposed to offshore oil and gas development to seek a similar prohibition for their states. “Such a quick reversal begs the question: Will the Trump administration give equal consideration to all the other coastal Governors from both parties who overwhelmingly reject this radical offshore drilling plan?” Oceana campaign director Diane Hoskins said in a statement. On Twitter, several governors, attorneys general and lawmakers representing coastal states asked Zinke to extend the exemption for Florida to their coastal waters. The governors of New York and Oregon and the attorneys general of Maryland and California were among those who called on Zinke to ban offshore drilling. 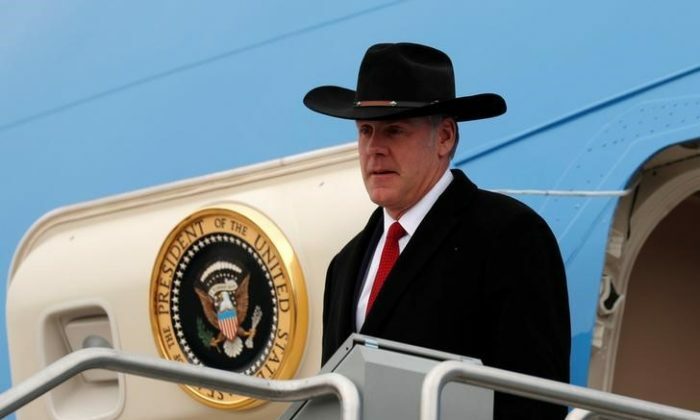 “President Trump has directed me to rebuild our offshore oil and gas program in a manner that supports our national energy policy and also takes into consideration the local and state voice,” Zinke said in Tuesday’s statement. Zinke said last week that the department’s draft National Outer Continental Shelf Oil and Gas Leasing Program for 2019 to 2024 would make over 90 percent of the outer continental shelf’s total acreage available for leasing to drillers, a national record. The effort to open previously off-limits acreage in the Atlantic, Arctic and Pacific oceans comes less than eight years after BP Plc’s Deepwater Horizon oil spill in the Gulf of Mexico – the largest in American history. The disaster caused billions of dollars in economic damage. The Defense Department has raised concerns about opening drilling that had been banned off the eastern Gulf of Mexico, where military exercises are held.